As the saying goes, there is nothing permanent except change. Web hosting services are no exception. Like in other industries, trends are going to come and go, and the demand for certain things will rise and fall as new developments come into play. As business owners, you and I have the responsibility to ensure that we have a respectable online presence in this day and age. Not only are we practically required to have social media accounts, but without a true website, we are certainly at a major disadvantage against the competition. Considering this, it goes without saying that we are also affected by the aforementioned trends, demands, and by the recent developments in web hosting services that are headed our way. To properly prepare, we must arm ourselves with the right knowledge and the right tools to keep up with the developments. When it comes to the world of small businesses, it is a must to have apps and websites that one can completely rely upon. If you have neither of these elements, then you will find yourself in a very precarious position. In the past, most businesses maintained a system of onsite servers that were both large and expensive just for web hosting services. As inefficient as this ultimately proved, it was made much worse when businesses began overextending their budget because they didn’t know better or had little alternatives in the matter. Fortunately, those days are now long gone. Today, cloud-based solutions can be considered as the direct answer to high-maintenance servers. Through said solutions, business owners are now in a much better position to monitor and streamline their operations both within and outside their organizations. After you have setup all your websites and launched your apps, you can easily scale the bandwidth up and down with a simple touch of a button. Business owners now have a greater capacity to avoid any disturbances when it comes to the web hosting services for websites and apps, which will certainly be useful as we all head into the future. Though there are numerous cloud-based trends for web hosting services, we need to differentiate long-lasting trends from short-lived fads. Short-term fads usually die down or die out completely within a few years, so learning about them in-depth will clearly be less useful. Instead, the following cloud-based trends are what you should be on the lookout for since it doesn’t seem that they will die down anytime soon. It wasn’t too long ago that a team in IBM came up with the IBM Q Experience, a quantum computer that has lead tech giants such as Microsoft and Google to make their own attempts at catching up. Quantum computers have the capacity to seamlessly encrypt data and improvise AI predictions, among others, all in a moment’s notice. Even the most capable supercomputers on the market have all been surpassed in just a few years. As more time goes on, many tech professionals are bound to find ways to begin incorporating this into both cloud hosting and the computing community overall. This is the type of ground-breaking technology that can allow businesses to be brought into the next level with an entirely new competitive edge. Another trend heading into the next year and beyond would be the rise of both Infrastructure as a Service (IaaS) and Software as a Service (SaaS). One of the main driving factors of the rising demand for cloud would be the sheer simplicity of it. Experts are definitely in agreement that this is a gateway to the future, as they can see a time when most programs that are web-based would have default structures that are in the cloud. Such a time would be a game changer for those companies that have operations in various countries around the world. Today, many developers are currently hard at work to develop awesome programs that are able to run solely in the cloud. Those of you who still have their doubts can simply take a look at the statistics that are related to the revenue of cloud hosting services. That is more or less all you need to know in regard to where this market is presently headed towards. It is estimated that by the year 2020, the SaaS industry will have grown by almost 18 percent. In addition to that would be the IaaS industry’s projected $73 billion revenue by the exact same year. Neither of this is considered surprising or unusual by experts since cloud hosting and computing are two of the fastest growing technology pieces in the entire world, and with good reason. To be able to get the most out of cloud hosting, you need to work with a company that has a great reputation, as well as a reliable track record for success. It is a terrible idea to skimp on the quality of your cloud hosting service. By doing so, you’re taking a significant risk with technical failure at critical moments, which will undoubtedly piss off or at least disappoint your users. If you want to avoid this, it’s better to just go with a higher quality cloud hosting service in the first place, regardless of additional cost. More and more business owners are starting to take security issues more seriously. They argue that the more advanced cloud hosing services become, the larger the potential security risk shall be. With these growing concerns in mind, there those who have already started to look for any comprehensive solutions. Companies that are responsible for handling sensitive information are now required to comply with the general data protection regulation laws. Failure to comply with these laws will often result in a fine. As expensive as it is to comply with the regulations, it is still considered a worthy investment. After all, the last thing people would want is to compromise sensitive information. To combat the concerns, IT professionals are going to be more valuable than ever before. Having read that subheading, you may be wondering just what it means to be eco-friendly in terms of web hosting services. Otherwise known as “green hosting,” this means that a particular website is running on or working with energy efficient technology in place. Such tech would include low voltage hardware, with examples being coolers, air conditioners, and renewable energy devices. According to several experts in the field, if this particular trend does not catch on and if the energy consumption of web hosting services continues to increase over time, then the pollution caused by the web hosting services industry will start to overtake the pollution that is being caused by the airline industry. Wouldn’t that be a huge predicament to be in? It is with that notion in mind that a lot of web hosting services have decided to change their tune and reconsider what they have been doing up to this point. Now many are starting to get with the program regarding the green movement of web hosting services. This is done in the hopes of not only averting the surpassing of the airline industry’s pollution amount, but to ensure that it becomes easier to go green in general moving forward. This trend is all about creating reserve copies of databases in their entirety without any manual action or activities from the users themselves. Two platforms, particularly WordPress and Joomla, are already hard at work when it comes to offering CMS-specific backup solutions, which saves website owners from the troublesome task of manually archiving data. It is worth noting that due to the quick operational speed that comes with automated backups, this is something that can be done on any periodic basis. Files can be backed up on either a monthly basis, or perhaps a weekly, daily, and even on an hourly basis. This is definitely something that will only continue to improve web hosting services in 2019 and onward. SiteBuilder.com – The first one in this list is a company that has had a relatively short time thus far in the market but has already achieved a certain level of success due to the exceptional quality of its service, which has also allowed it to properly stand out amongst the competing web hosting services. Among the perks of this site is the fact that it has a platform that can be described as straightforward and highly intuitive. It doesn’t matter what you are trying to build – be it a personal blog, a professional website, or an eCommerce store, you can bet your bottom dollar that SiteBuilder allows you to have a fun and pain-free experience. What you can expect from this is an impressive range of features that many of the most ardent of web design professionals can vouch for. As far as subscriptions is concerned, you can expect three basic packages that each have varying rates which are based on the length of the billing period. These three packages are the Pro package, Premium package, and eCommerce package. The first one is fairly priced and includes free web hosting services, more than 1,200 customizable templates, access to the drag and drop site builder, website statistics, and more. The second one doesn’t have a whole lot of differences with the first other than the fact that this gets higher priority access to the company’s customer service team. Lastly, the eCommerce plan not only has all of the features offered by the previous two, it also has something that is exclusive to this package only: the eCommerce store. With all that said, it should be clear at this point that SiteBuilder has a lot to offer people who need quality web hosting services. Site123.com – Although this option is a bit more lowkey than SiteBuilder, many have gone on record to say that they’ve been thoroughly impressed by its quality. If you’re wondering just how user-friendly this web hosting service is, you could say that it strikes a balance for beginners and experts alike. For the former, it is guaranteed that they will enjoy how well the look can be customized with just a click here and there. As an example, you can reorder pages with just a single slide up or down. For advanced users, they are sure to appreciate just how hands-on some of the controls can be, which would allow them to fully customize pages. Site123 comes with hundreds upon hundreds of templates for its users to choose from. You can expect its themes to span from personal blogs and portfolio sites to complicated business sites and online stores. With a lot going for it, Site123 goes above and beyond by providing excellent prices. Not only do you get to pick between a Free and Premium plan, but the premium plan is relatively cheaper than what is offered by other web hosting services. In addition to the free domain name that comes with the Premium plan, upgrading to this package will provide you with greater storage than ever before; 10GB and 5GB to help you with your bandwidth. The Site123 watermark will also be removed, which should be important if you are trying to go for a business-focused site. Moreover, it also has a professional option that includes 90GB of 45GB for your bandwidth. More advanced features can also be expected, which includes an extensive mailing list, five mailboxes, and credit card gateways. If you are looking for an excellent deal, then you can look no further than Site123. Wix.com – This is considered by many to be one of the best web hosting services around. The company’s numerous celebrity endorsements have swept across every corner of the online marketplace, propelling it to even greater heights. Such a rapid rise may have left certain people a bit skeptical, but the truth is that there is nothing at all to fear from Wix. To the surprise of some critics, the web hosting service actually managed to live up to its great hype. Wix is among the pioneers of the drag-and-drop site building industry, which means this is also among the most user-friendly and intuitive web hosting services anybody can find anywhere. From the moment you log in, you can clearly see just how much the web hosting service has been refining its site builder over the years. The web hosting service comes with more than 300 basic themes and a myriad of useful features like image filters, SEO tools, and video templates, among others. Although this is far from the cheapest option around, you are free to choose between several pricing packages which can suit just about any customer. First up would be the VIP plan, which comes with unlimited bandwidth, 200GB of storage, a free domain name, a site booster, an online store, monthly email campaigns, and priority customer support. The eCommerce plan is cheaper and essentially offers the same thing but without the priority customer support and email campaigns. Then there’s the Unlimited plan, which is even cheaper but provides only 10GB of storage. Lastly, there are the Combo plan and the Connect Domain plan. They have far fewer features but are a lot cheaper. Neither of which come with unlimited bandwidth either; the former has only 20GB of bandwidth and the latter comes with just 1GB of bandwidth and is considered the most basic option. If an incredibly well-designed site builder is what you are after, then Wix is the web hosting service for you. Squarespace.com – If you are one of those self-professed ‘creative types,’ then Squarespace could be the web hosting service that you need. It has what you would call a sophisticated elegance to it. Should you be someone who has a true talent or an eye for beauty and design, then there is nothing better. The bad news here is that it isn’t the most intuitive or even the most budget friendly web hosting service. However, the good news is that it does have a few unique features that makes it an incredibly welcome addition to any site builder list. Concerning how user-friendly it is, you can expect Squarespace to be a bit clunky and perhaps more than a bit confusing when compared to SiteBuilder or Wix. Despite that, it still has its appeal, especially for highly experienced web designers who are capable of allowing users to change up certain elements of their own website’s code. Doing so can open up a certain level of design that isn’t even possible on other web hosting services. There are four premium plans, all of which are a bit pricier than other options but also offer some of the highest quality templates on the web hosting services market. First, the Personal Website plan allows you to add galleries, pages, and blogs that come with unlimited bandwidth. You can also expect a free custom domain, SSL security, and 24/7 live support. Second, the Business Website plan offers everything from the Personal plan, along with an eCommerce platform with just a 3% processing fee. Other perks include $100 for Adwords credit, a Google professional email, promotional pop-ups, and various other features and bonuses. Third, the Basic Online Store plan includes nearly everything from the aforementioned Business Website plan minus any transaction fees. Fourth, the Advanced Online Store Plan comes with all the aforementioned features plus a few more innovative features like advanced shipping, flexible discounts, gift cards, and more. uCraft.com – uCraft is a relatively new entrant in the web hosting services market. However, it has quickly building a reputation as one of the market’s upcoming leaders. Once you take it for a spin, you will definitely know why this is so. It may not be at the top of the heap yet, but anybody would be glad to know that uCraft is capable of doing a lot of things well. Should they continue their present trajectory, it may very well be at the very top in just a few years’ time. A great thing to note about uCraft would be the fact that it is quite user friendly, although not quite at the level of others yet. Expect themes that are modern, sleek, and easy to customize. Majority of users should be quite satisfied with its coding power as long as they don’t expect anything at the level of Wix or Squarespace just yet. Now we turn to its available packages. The Basic Website package can be fairly minimalistic, at least as far as their bonuses and special features are concerned. Customers will still be able to get everything they need at a budget-friendly price. The Pro Website package is surprisingly affordable, especially if you take into consideration their 0% transaction fee and their 50-item product limit. It already comes with all the features you can expect from a premium subscription, which includes a drag-and-drop website builder, multiple designs and SEO tools, and best of all, zero uCraft watermarks. In addition to all of this, the Pro Website package also includes shipping and payment options, real-time tracking, multi-currency support, and unlimited storage. Those who are looking to upgrade their product limit all the way to 1000 may go for the Pro Shop package and those looking to remove the limit entirely can go for the BigCommerce package. Both of which are understandably more expensive than the Pro Website package. Weebly.com – When you think of popular site builders, Weebly immediately comes to mind. This company has already developed a long-standing reputation as an incredibly popular web hosting service, and they bring a lot to the table to back that up. One of the things that has made this option so appealing is the fact that it is incredibly user-friendly. Start it up and within minutes, it is guaranteed that even the most awkward and technologically-challenged user will begin using Weebly with ease. How’s that for a selling point? Highly intuitive with value that is through the roof, Weebly continues to be a great option even with the intense competition in today’s web hosting services market. Although the drag-and-drop site builder has its limits as far as utility is concerned, many still consider it a trusted web hosting service. However, those who have started with newer web hosting services may be a bit frustrated with some of the pre-formatted templates. Now we turn to the packaging plans that Weebly offers. There are at currently three subscription plans: Free, Pro and Business. The Free plan offers some pretty basic features like 500MB of storage, SSL security, and a free subdomain. The Pro plan, on the other hand, contains good value for a relatively cheap price. These features include everything from the Free plan plus a free domain, an ad-free website, $100 worth of Adwords credit, highly advanced analytics, video backgrounds, password protection, HD video and audio, unlimited storage, SEO and lead capture features, chat, email, and phone support, and the ability to register up to 100 members. Last but certainly not least would be the Business plan, which includes everything from the previous two plans along with an unlimited number of products, website members, and zero transaction fees. Jimdo.com – This is a web hosting service that offers some of the most exceptional load times and uptimes. Like many of its contemporaries listed above, Jimdo has made a name for itself through a proven combination of user-friendly features and affordable pricing. It has proven time and time again to be incredibly simple to use; all you need is a few clicks on your mouse and some taps on the keyboard to get a fully functional website up and running with this highly intuitive site builder. If there is something that needs to be said, it is the fact that it only comes with 17 themes, which seems quite limited to many, especially as newer companies offer so much more. This critical weakness makes creating unique websites a much greater challenge than it normally is. Moving on to its package plans, users have three primary options: JimdoFree, JimdoPro, and JimdoBusiness. First up is JimdoFree, which they promote as a ‘great way to get started with a website.’ As stated by its name, you can get this option for free. However, it comes with only the most basic of features. Next, we have JimdoPro, which is more suited to bloggers, creatives, and freelancers. Among its offers include a free domain, email account, advanced website statistics, and a guaranteed ‘fast and friendly’ support team, among others. Finally, there is JimdoBusiness, which offers everything from the previous two options plus a complete online store. The last two options are among the cheapest you can find in their category, which surely adds to Jimdo’s appeal. For all its hype, affordable prices, and excellent uptimes and load times, many may still find the theme selection a bit lackluster. Beginners can have a grand time with this, but serious web designers may prefer to move on to something else. Yola.com – If there are two things that people can rightfully attribute to this web hosting service, it is the fact that it is among the easiest to use and one of the smoothest options on the web hosting services market. However, even with that in mind, it comes with its own flaws and has been accused of under-delivering on quite a few promises. But before we get into that, let us start with the positive. How user-friendly is it? Very. It is quite simple, but rather than make it an entirely good thing, its simplicity comes with limitations. Some of the more tech-savvy users may find the lack of advanced features tedious after a while. Although there are over 270 themes to choose from, many of these themes are a bit outdated when compared to some of the more modernized website of today. Finally, a few users also consider certain themes to a bit rigid which makes them more difficult to customize in order to suit your needs. Yola has a few options that users can consider. Each of these packaging plans come quite cheap and are suitable for those who need a web hosting service on a tight budget. For its Free plan, you can expect an offering of three pages. But it only has 1GB of bandwidth, 1GB of storage, and a Yola subdomain. The Bronze option is much better, with unlimited pages being offered, along with unlimited bandwidth. Their storage option of 2GB isn’t much, but you are allowed a free custom domain at least, free private registration, and premium support. Yola’s Silver option has many of Bronze’s offerings, but also comes without Yola branding, premium style templates, mobile-ready websites, and advanced editing. If you want something that surpasses even that, then Gold should be your choice. Its exclusive features include a full-site search optimization scan, traffic and keyword usage scans, automatic SEO monitoring, and an inclusion in the Yola business directory listing. All in all, Yola has its fair share of wonderful features, but it is also somewhat outdated. The pricing structure, although its offerings are affordable, can be convoluted. If you’re going with Yola, then you should probably use it for web hosting services and not as a site builder. For those of you who need a bit of a refresher, the entire point of having or implementing authentication protocols would be to ensure that your website is kept as secure as possible. In the present day, it generally isn’t enough to just have the traditional method of having a username and password. Those are no longer guarantees for your site’s protection, or at least you can’t expect the protection to be complete anyway. It is for that very fact that session-based, two-factor authentication are now all the rage and in demand by web hosts. 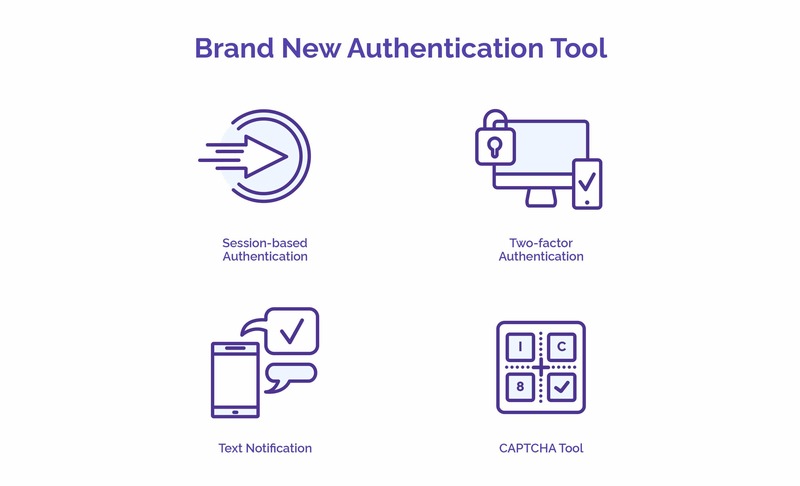 It is to be expected that these authentication methods will include the sending of emails or text messages that will contain one time passwords. As an alternative, you can also expect the CAPTCHA tool to be used, which will suggest the reproduction of image texts for the purpose of confirming user identity. Although they can be a bit of a hassle to deal with, imagine just how effective these will be against the threat of hackers. Visualization is, for many, an important element of just about any analytics and big data strategy. If companies cannot communicate the results of their analytics solutions, then most of those efforts are simply a waste of money. This type of technology is only going to keep evolving to the point where they go past the sole domain of trained BI analysts and data scientists. Going forward, one can expect visualization software to play a greater role in web hosting services. Some of the top paid-for-visualization solutions include Microsoft Power BI, Tableau, QlikView, Sisense, FusionCharts, and more. Although each one comes at a different price and have varied capabilities as well, each of these are expected to provide great value for their reports, which can be shared with their users through various organizations. Well there you have it. The future can be a scary place where we don’t know much of what’s going to happen, but fortunately there are signs that will serve as likely indicators of what direction we are heading in at least when it comes to web hosting services. Take a good look at all of these trends, demands, and development forecasts; from the numerous website builders to eco hosting, all of these are sure to play great roles in the years to come. What is Shared Hosting and Its Benefits?